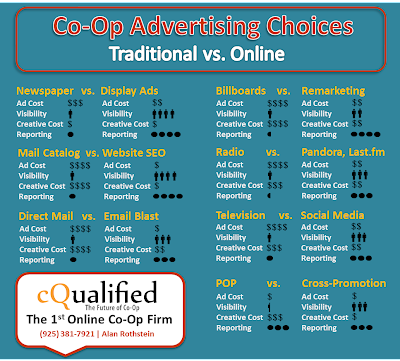 Considering which Co-Op verticals you are interested in spending your free advertising on? 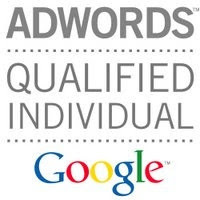 Online programs cost less, are easier to track and produce more visibility. With over $50 Billion in Co-Op funds distributed annually, Co-Op is big business for manufacturers and their online resellers. With traditional marketing dominating the current Co-Op spend and the cost of producing traditional marketing twice or even three times that of online marketing, the future of Co-Op, the future of online retail, is Online Co-Op. Newspaper & Magazine - Buying a newspaper ad in the Los Angeles Times will run you about $70,000 for a full-run, full-page black-and-white ad. Advertising in local newspapers and magazines can run $1,000 to $5,000. Catalogs & Direct Mail - The cost of planning, producing, printing & mailing can be expensive. Outdoor Billboards - The cost of billboard advertising ranges from about $700 to $2,500 a month. Not including the cost of creating the graphic and installation. Radio - It is recommended that you set aside a minimum of $6,000 for radio. Television - A 30-second time slot in a medium-sized market can be purchased for as little as $5 per 1,000 viewers, you could expect to pay less than $100 per commercial slot. However consider that frequency is very important for television to be fully digested by customers. You should plan on 1 tv ad per hour, per channel for a minimum of 2 weeks (the same with radio). Point of Purchase - Of all the traditional Co-Op verticals, Point of Purchase (POP) can be the least amount of cost for the most amount of value. The major expense for POP is a need to update graphics and promotions, causing new printing of POP materials as often as every month. Through in the cost of a designer and you have an expensive and time sensitive advertisement. You are probably asking yourself why I went through the costs of all the traditional Co-Op verticals. For every traditional Co-Op vertical, there is an equally effective (much more cost effective) Online Co-Op counterpart. 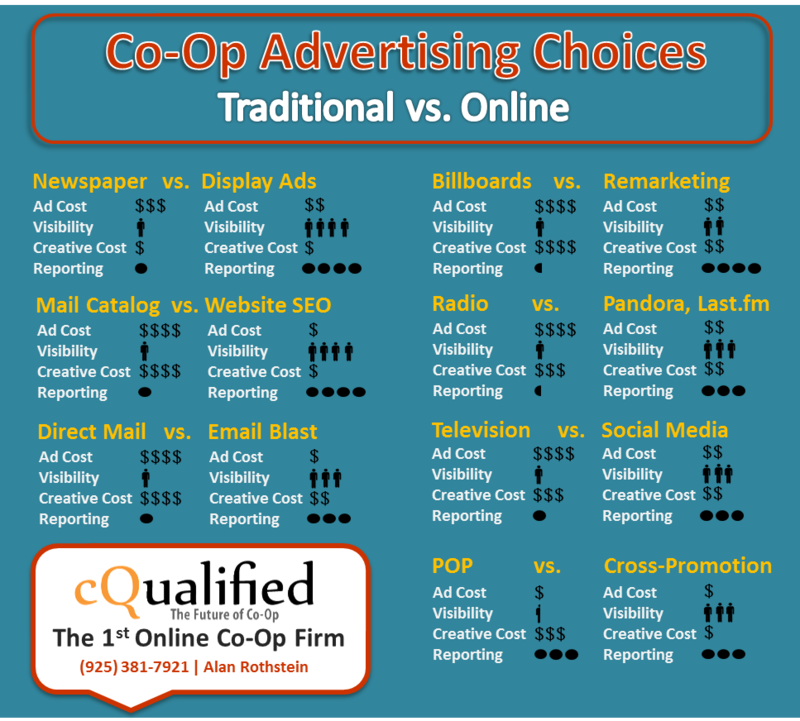 Online Co-Op verticals are much less expensive, more targeted, easier to monitor and manage. This is why some manufacturers are making online Co-Op spend mandatory. Intel, for example, mandates a minimum of 35% of Co-Op funds to be used for online verticals. 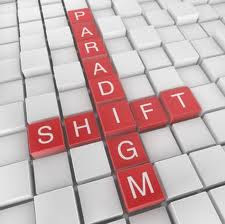 A shift in Co-Op is happening and cQualified is on the fourfront. Join us in shaping the future of online retail.